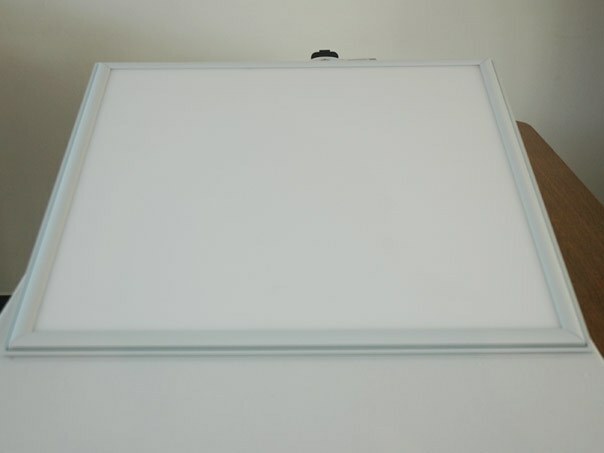 Affordable and reliable LED panel 600x600 in three different colour temperatures. 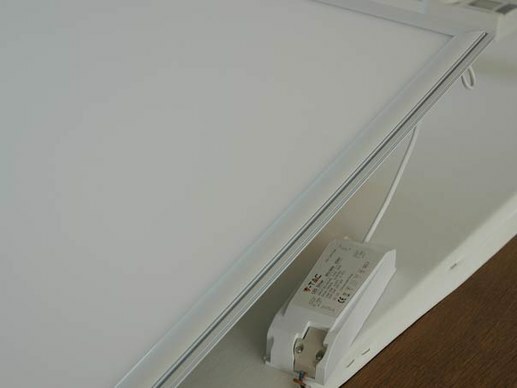 This affordable and reliable LED-Panel has a good colour rendering of cri > 80. It can be delivered with a dimmable LED-driver on request (optional). With a beam angle of 120° it creates a luminous flux of 3600 Lumen. This means an efficiency of 71 Lumen /Watt. In addition to the robust design, the direct-emitting LED panels offer a very good heat management. This ensures a longer life times for the individual LEDs. 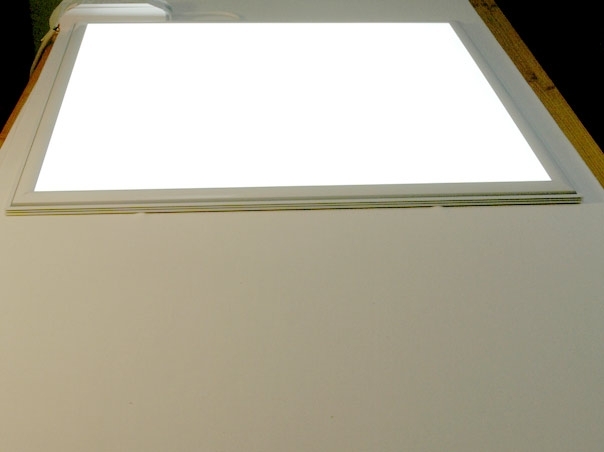 The ultraslim LED-Panel is used as illumination for offices, conference rooms, homes, foyers or doctor's offices. 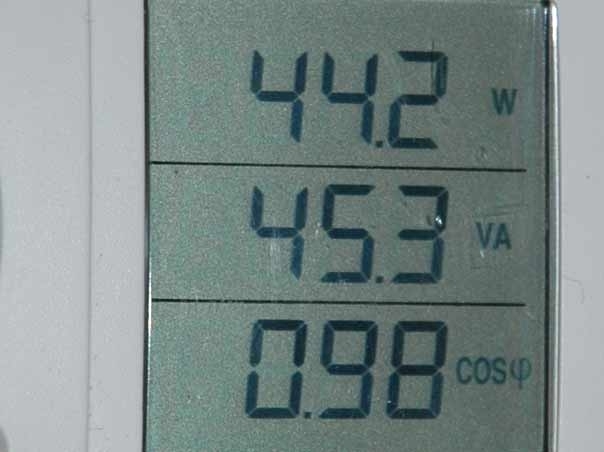 The LED panels produces no flicker and indicates no unwanted UV light. It is therefore not lead to the fading of products or goods. 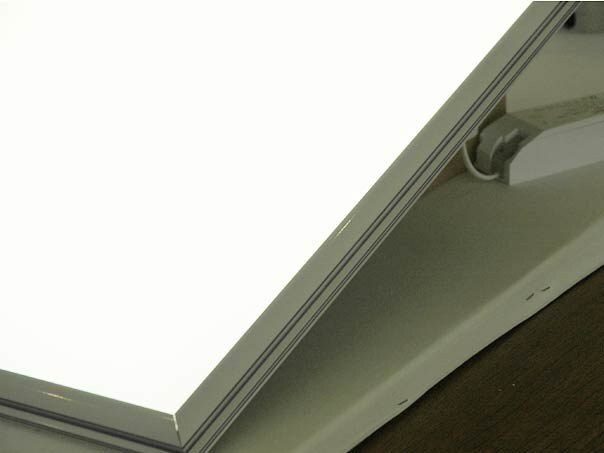 The light of the LED Panel 600 x 600 is evenly dispersed by a PMMA light guide plate. So hardly any glaring effects occur. For this reason the LED panels are suited for workspaces with computer screens. The colour of the aluminium frame is white. LED panels can be mounted in a mounting frame direct on the ceiling. The LED-driver will be hidden in the mounting frame and protected from dust. As an alternativ the LED-panel 60x60 can be suspended from the ceiling with wires. Or as another possibility thes panels fit into an existing cutting in the ceiling of coffered ceilings. You have questions about our LED-Panel solutions ? You need to have information about other models and options? We will help you! Preferably personally ! Please contact us at the phone number : 0049-221 - 9924573 during normal office hours or mobile . You can contact us by e -mail or fax request. We also call you back.